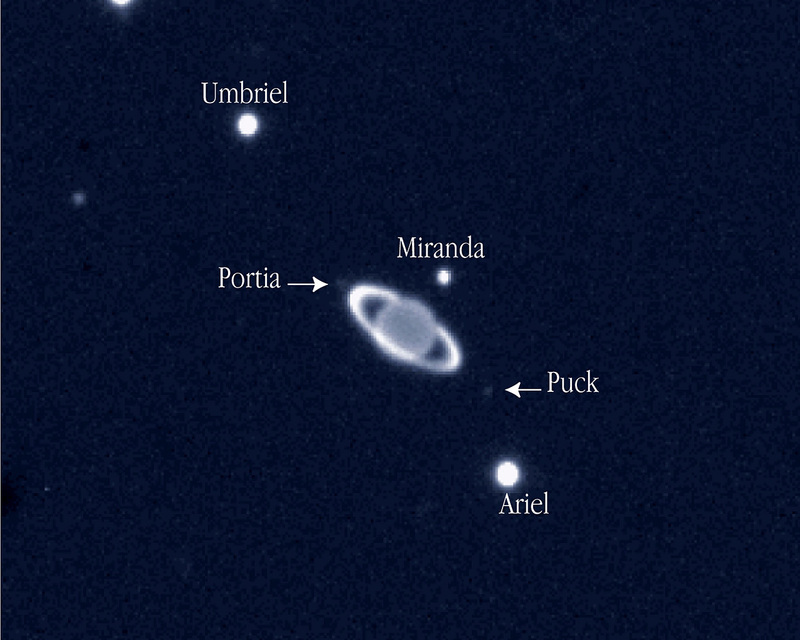 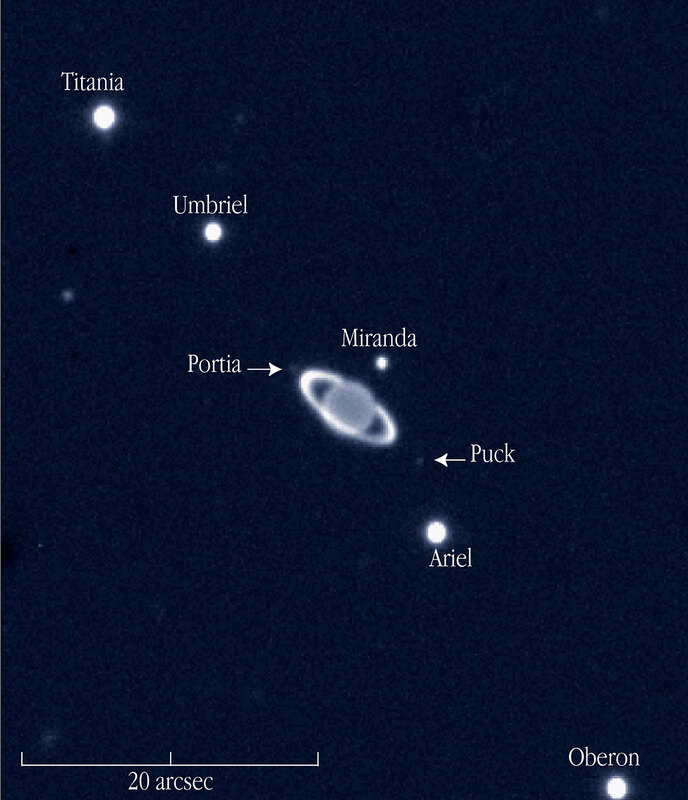 A near-infrared view of the giant planet Uranus with rings and some of its moons, obtained on November 19, 2002, with the ISAAC multi-mode instrument on the 8.2-m VLT ANTU telescope at the ESO Paranal Observatory (Chile). 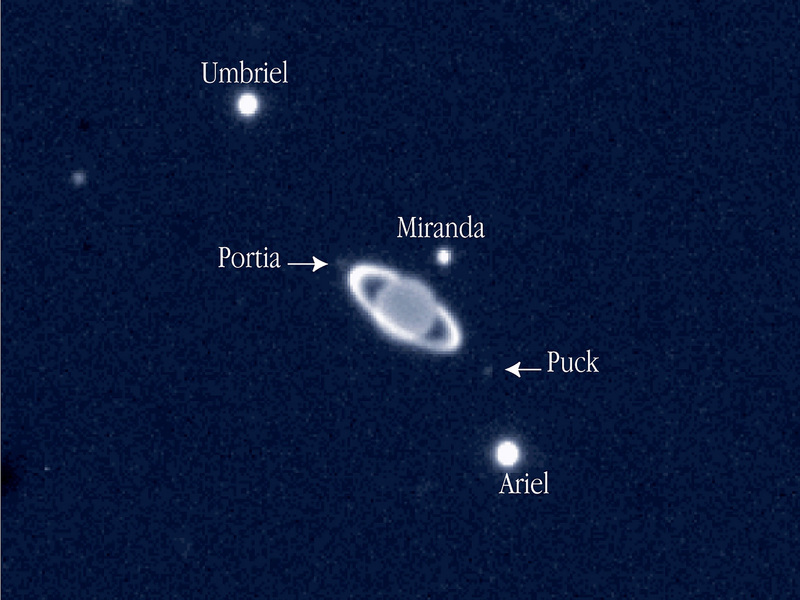 The moons are identified; the unidentified, round object to the left is a background star. 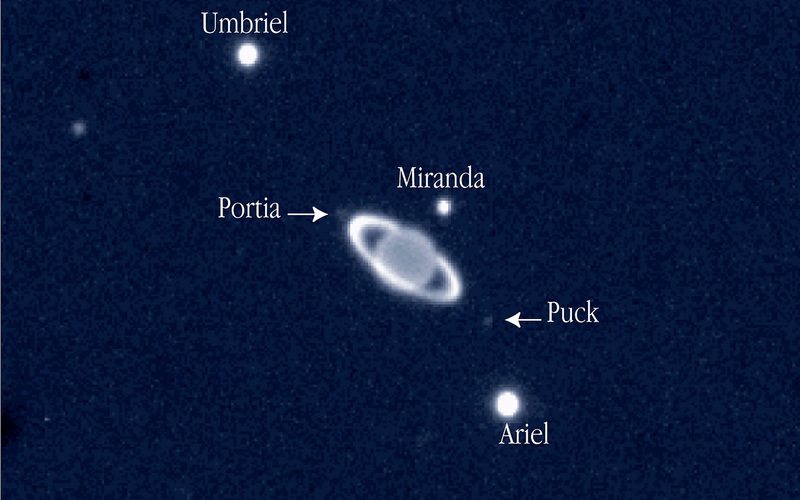 The image scale in indicated by the bar.